1 of 2 Whisk together buttermilk, sour cream, mayonnaise, shallots, vinegar, sugar, salt and garlic powder in bowl until well blended. Refrigerate for up to 2 days. 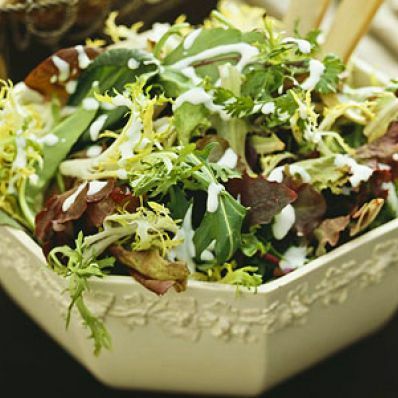 2 of 2 To serve, toss the salad greens in a large bowl with half the buttermilk dressing to coat. Pass remaining dressing. Makes 6 servings.